Since the 1950s, intensification and scale enlargement of agriculture have changed agricultural landscapes across Europe. The intensification and scale enlargement of farming was initially driven by the large-scale application of synthetic fertilizers, mechanization and subsidies of the European Common Agricultural Policy (CAP). Then, after the 1990s, a further intensification and scale enlargement, and land abandonment in less favored areas was caused by globalization of commodity markets and CAP reforms. The landscape changes during the past six decades have changed the flows and values of ecosystem services. 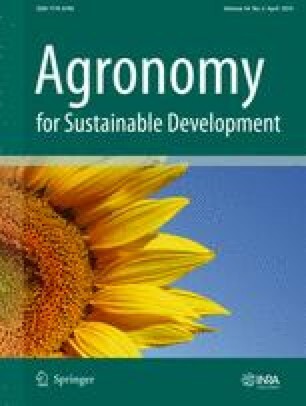 Here, we have reviewed the literature on agricultural policies and management, landscape structure and composition, and the contribution of ecosystem services to regional competitiveness. The objective was to define an analytical framework to determine and assess ecosystem services at the landscape scale. In contrast to natural ecosystems, ecosystem service flows and values in agricultural landscapes are often a result of interactions between agricultural management and ecological structures. We describe how land management by farmers and other land managers relates to landscape structure and composition. We also examine the influence of commodity markets and policies on the behavior of land managers. Additionally, we studied the influence of consumer demand on flows and values of the ecosystem services that originate from the agricultural landscape. We acknowledge funding from the European Commission, 7th Framework Programme through the project CLAIM (Supporting the role of the Common agricultural policy in Landscape valorisation: Improving the knowledge base of the contribution of landscape Management to the rural economy, www.claimproject.eu). This work does not necessarily reflect the view of the European Union and in no way anticipates the Commission’s future policy in this area. Furthermore, the authors like to thank the case study leaders in the CLAIM-project, Manuel Arriaza, Edward Majewski, Handan Giray, Dimitre Nikolov, and Jean Christophe Paoli, for their contributions to the paper during project meetings.